The JESANI® Door Channel is a modern, stylish and efficient stainless steel linear drain that will prevent flooding between the wet and dry areas of your residential or commercial property. When water unintentionally overflows from the reservoirs in your wetrooms, it will soundlessly make its way from its origin and escape wherever an exit can be found... typically this is the doorway. 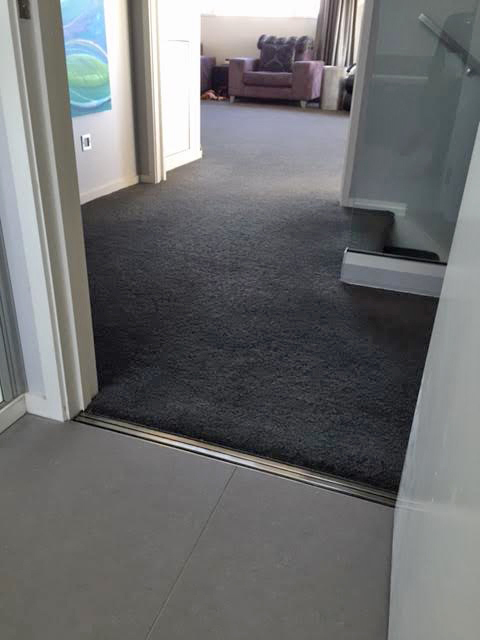 It is very unusual to see carpet in a laundry, kitchen or bathroom space, so how can we protect our carpet that starts at the edge of these areas? This is where the door channel can specifically play a vital part in your home separating the wet and dry areas. >> Watch the installation video and see the door channel in action! The installation of the door channel is a very easy process. The "one way" fall requirement is much more straightforward to achieve than the old "4 way" fall method to a small circular drain. Your floor finish will look seamlessly impressive and allow for the bathroom to look cleaner and more complete. 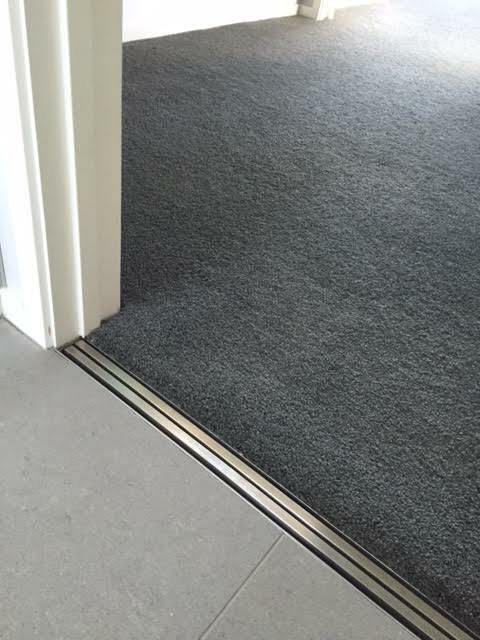 The door channel sits directly beneath the closed door and can be designed to suit your door measurements, however when the door is open, an unobtrusive slender linear channel separates the wet area of the wetroom and the carpet/dry flooring area of the property. The versatility of the door channel can also be utilised under those water-operating appliances. The dishwasher and washing machines are one of the highest causing insurance claims in your home. 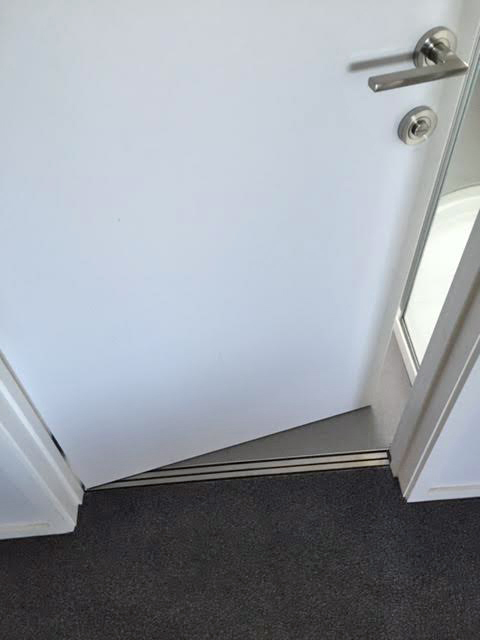 Investing in a door channel can protect your property investment forever. Also bear in mind your holiday homes too, if you are not there for weeks on end who will see the flooding if you are not around? Water loves to be soaked up by any type of dry fabric, thus causing even more damage inside your property. Contact us today to discuss your wetroom solutions.